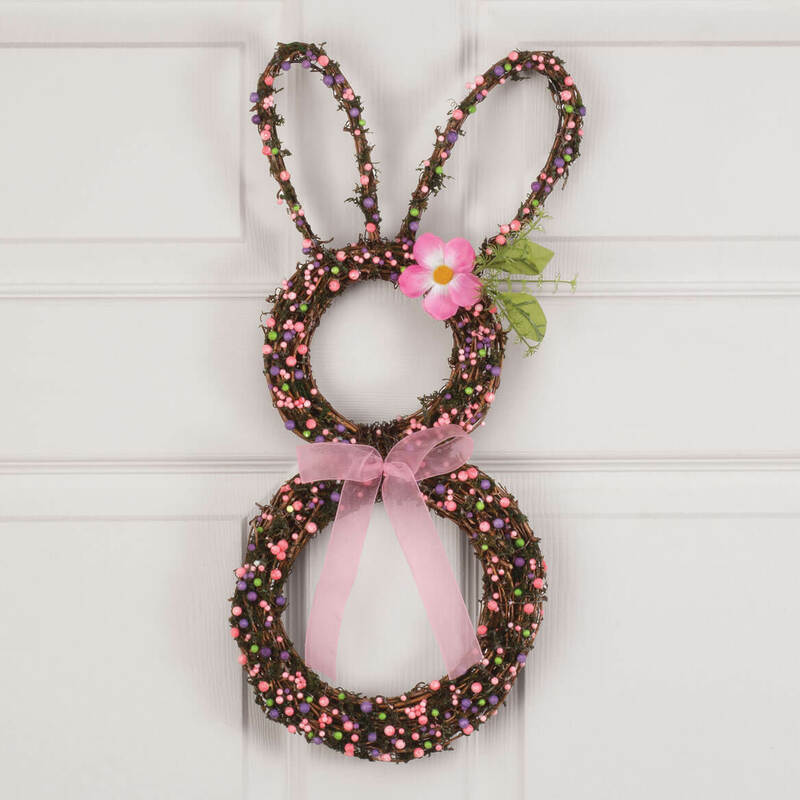 The bunny wreath is on my front door. Love it!! I thought this would be nice and big if came in a big box but it only like 4 inches tall if that. For the price not worth it. Just received this and am very disappointed. Do not believe the other reviews about how great this item is. This came packaged in a plastic bag and in the bottom of the bag were tons of beads from this wreath.There is no way you could hang this up anywhere as the beads are constantly coming off along with the other things on the wreath. I am very disappointed with this item. I would love to throw it in the garbage as there is no way to send it back as I would have to pay to send it back. What a rip off. The description is very deceptive and you do not receive what is shown. Do not order, save your money. You will be very disappointed. I have been searching for something cute and unique for my front door for spring time. And this fits that description! It makes me smile and I think it will make passers-by smile also! Because it's very cute. The things I have bought from you are well made. I bought giant Easter eggs like 15 years ago and still have them. To hang on my door at Primrose Retirement Home in Mt. Pleasant, WI. Looks cute and appears to be a good value for the price. it was cute, thought it would be a good seasonal decoration. 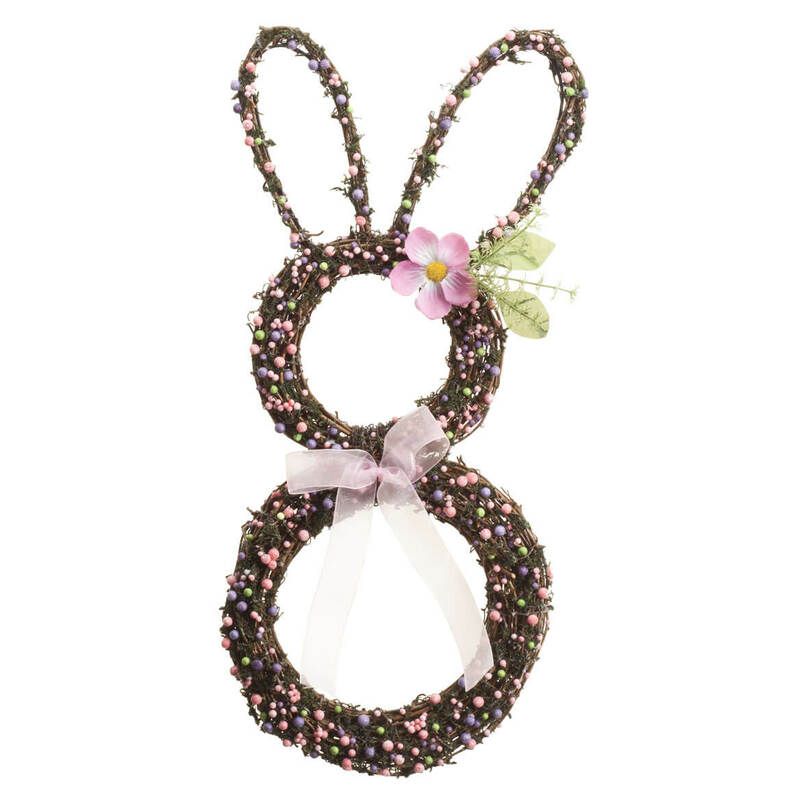 It's just a cute Easter wreath. It's cute and flat enough to fit between my front door and storm door. Nice decoration for my door. I added a string of battery operated lights and it will add nice decor to house. Needed new door wreaths. Want to make it festive for my grandchildren.